Zenport Z201 9 inch Heavy Duty Crew Pruner - Parts Available. Heavy Duty Bypass Euro Pruner. Made of Die-Cast Aluminum. 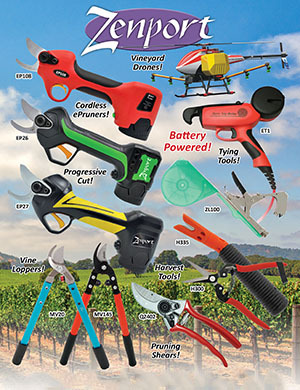 Choice of landscape and agriculture professionals looking for a tough, economical pruner. Cuts up to 3/4 inch of green wood with ease. Parts Available.